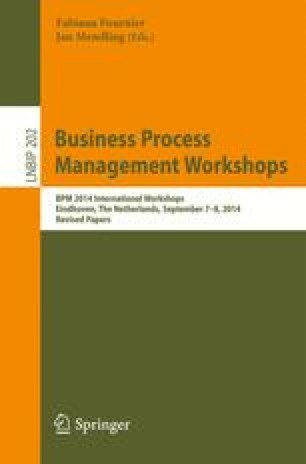 Recently, Business Process Management (BPM) has increasing demanded reuse of business process models. In order to represent these models, diverse techniques have been used, such as the variability management and business process configuration, arising the Business Process Line (BPL) area. In order to model BPL, the joint use of vrBPMN (varant-rich Business Process Model and Notation) and Feature Model (FM) has been considered as a relevant alternative. However, there is a kind of FM elements that does not have a properly correspondent in vrBPMN, that is, the IOR element. In addition to that, FM and vrBPMN have some redundant informations. The main contribution of this paper is to propose an extension to the vrBPMN notation, named vrBPMN*, and, together with FM, makes it possible to adequately model BPL. We conducted an empirical study to analyze the viability of using vrPBMN* and FM to model business process, as well as their building time and correctness. As main results, we have observed that the proposed notation favours business process modeling, reducing time and increasing correctness of produced models.